1. 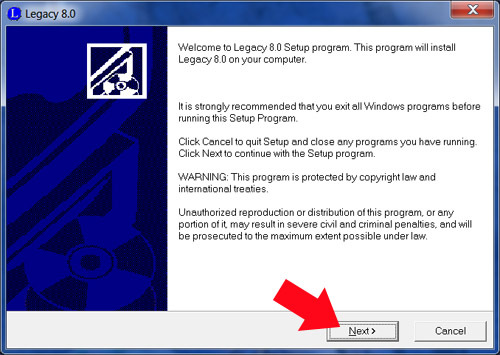 Simply insert the Legacy installation CD into your computer and the installation screen will open. 2. 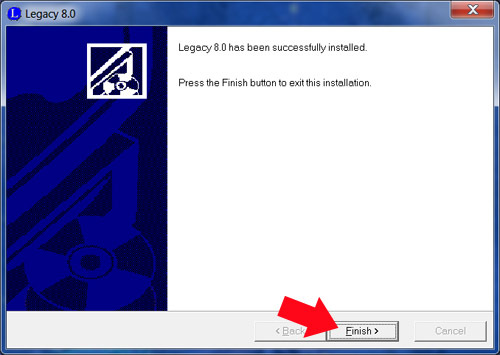 Click the Install Legacy 8.0 button. 3. 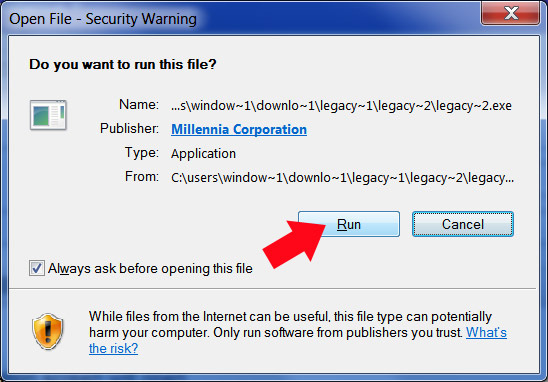 If you get an "Open File - Security Warning" message, click Run and then the Legacy 8.0 Setup program will start. 5. Don't make any changes to the setup. Just keep clicking Next. 6. The installation progress indicator will run up to 100% and then stop. 8. 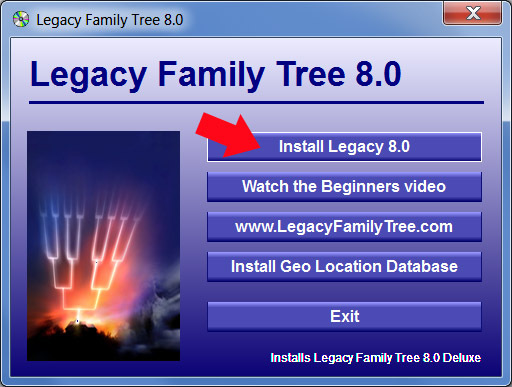 You will be prompted about installing the Geo Location Database, if you think that you may use this feature click Yes and follow the screen prompts.